Secrets are sometimes SILVER…Secrets Silversands that is! Secrets Silversands on September 15th is where Leopardo and I will be! 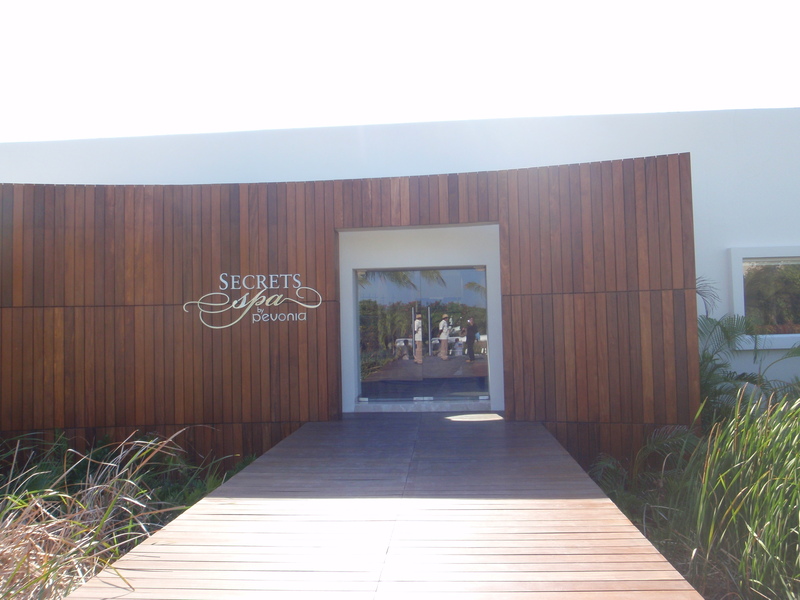 We LOVE Secrets Silversands…The Place has such a South Beach VIBE and the Staff is so attentive, friendly and GREAT at what they do! You feel like you are in another world when you are there! The pool is GORGEOUS and the views from the pool equally as gorgeous…I love having lunch at Seaside Grill and watching all the folks having fun in that pool! 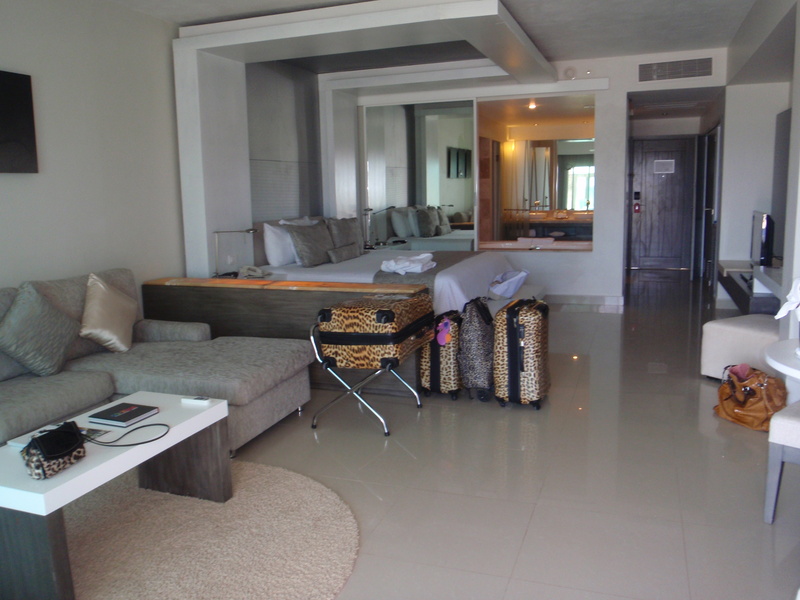 The Preferred Club Ocean Front Suite was a WOW for sure! Recommed it HIGHLY! Beautifully detailed and very comfortable, plenty of room and great views too! The BED is so comfortable and the sheets…ahhh…”UNlimited LUXURY”! 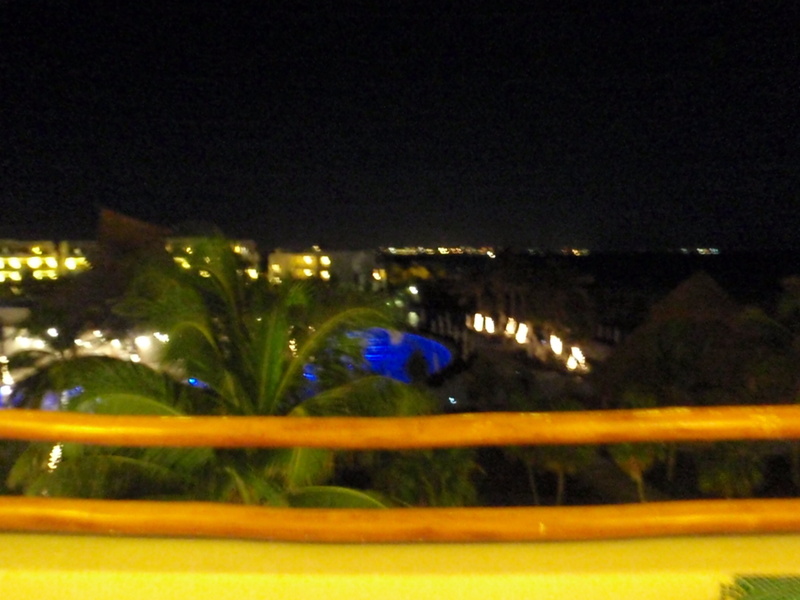 The VIEWS all around the resort are great! Loved this one from my room last year! WHATTA VIEW!!! I can’t wait to be back and either can Leopardo Laptop! 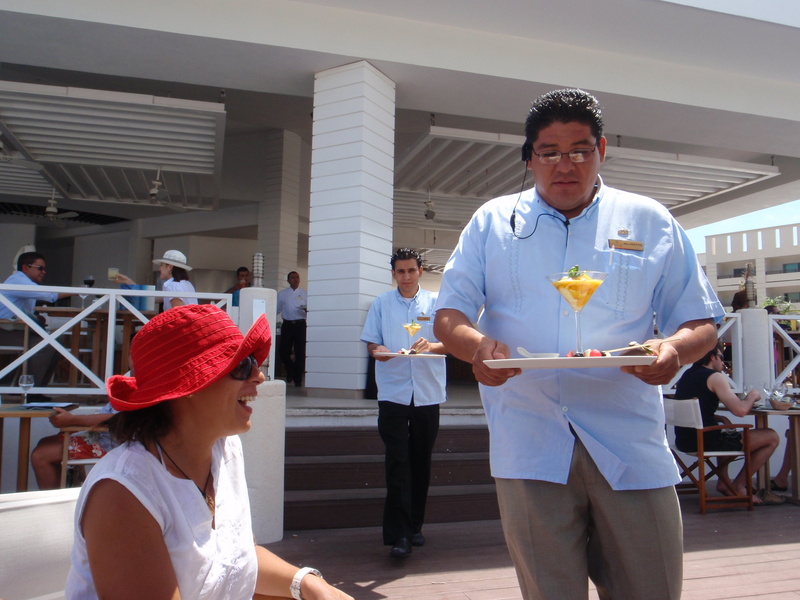 Above is a pic of Lunch being served at the Seaside Grill! Delish! Everything I had while I was there was GREAT! What can I say…other than CHEF MARIO and his AMazing TEAM CAN COOK! LOL! Victor of Food and Beverage makes sure that all the aspects of Beverage and FOOD are TOP NOTCH! We always like to go to the SPA too! 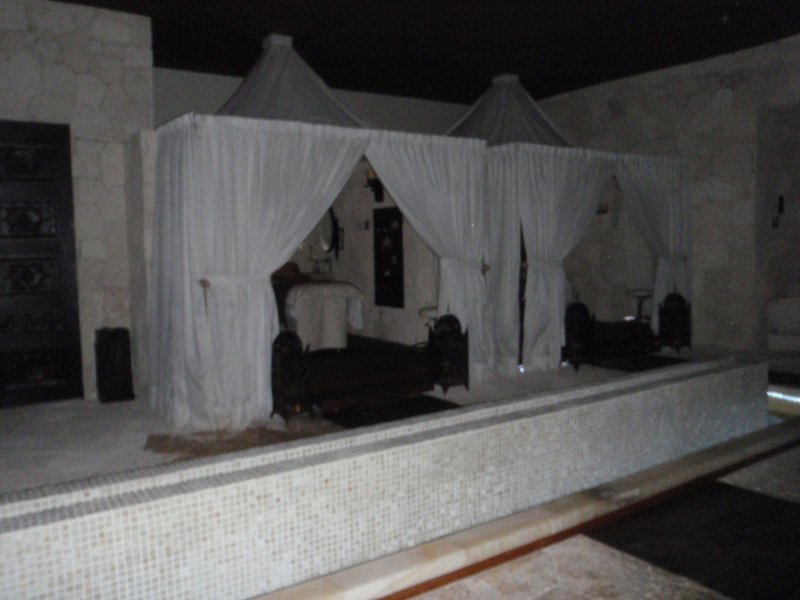 And the Spa at Secrets Silversands is one of our VERY FAVS! 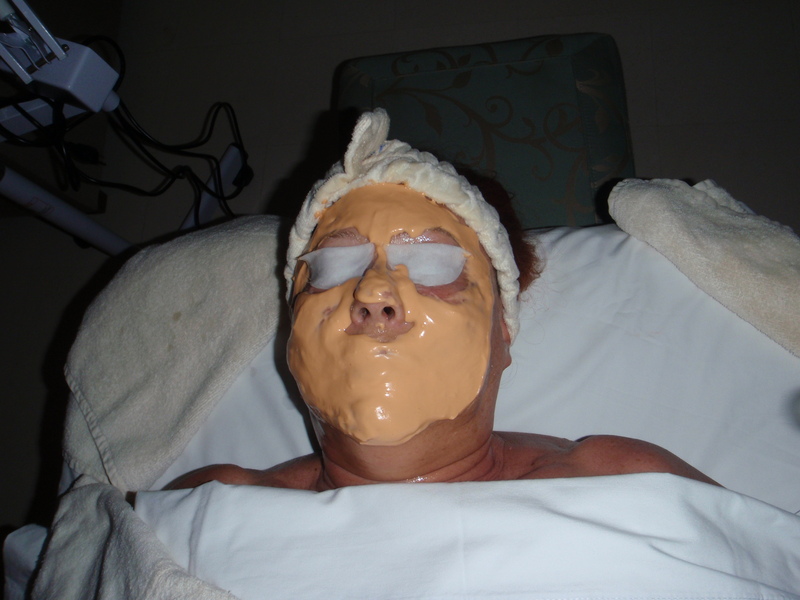 I hope some of these pics show you why…it is off the charts AMazing!!! From Reception to Treatment Areas to the outside area…I can’t even begin to show and tell you how much I love it! 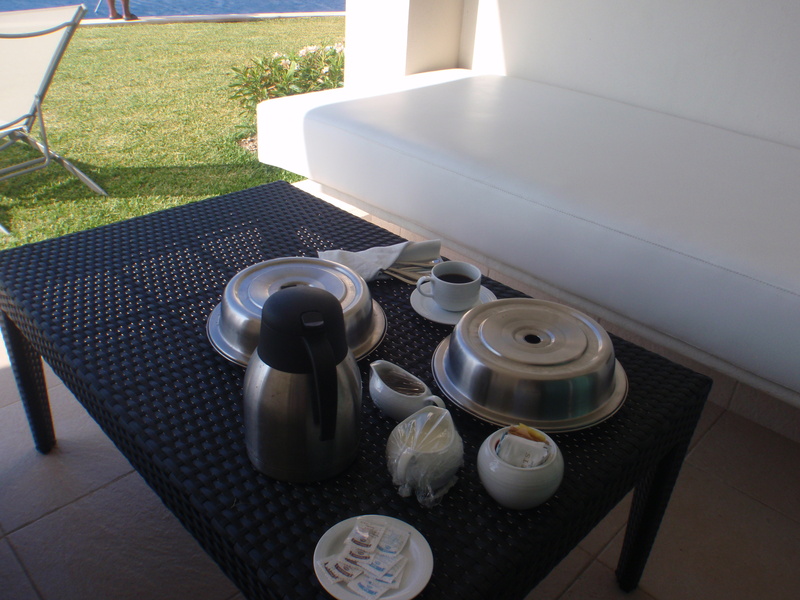 Make sure and order Room Service while there…what a treat to have breakfast, lunch or dinner on your patio or balcony…I had breakfast on my patio on the morning I was leaving…I just couldn’t bear to leave that VIEW! The night before leaving I was partying in the lobby bar Rendevouz with some friend! What FUN! Rendevouz is ALIVE all the time but at night it really shines! Great place for before or after dinner drinks… and remember too also to go out side to the Veranda Bar! Live Music and SUCH FUN! 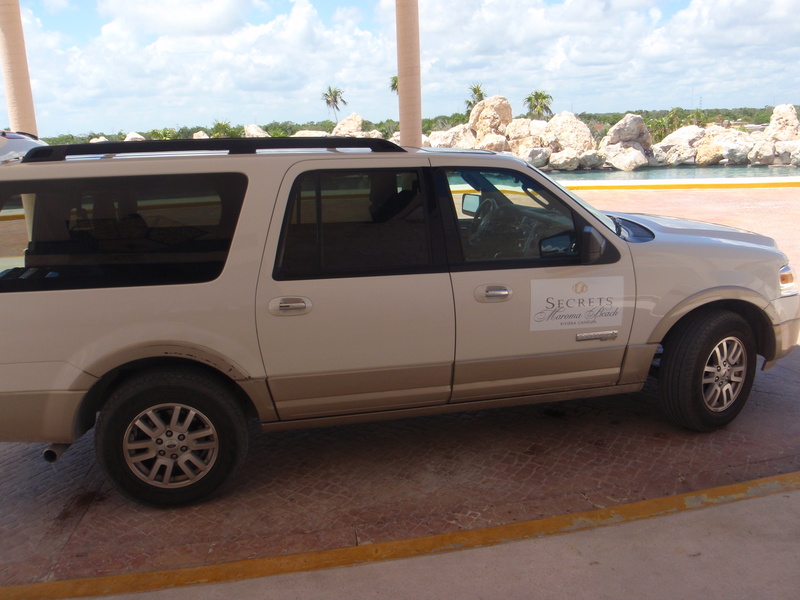 Leopardo was very sad he had to leave Secrets Silversands…but when I told him we would be back he was happy! Right now he is very happy because he knows he will be home to see all of his many friends and meet new onces too! He is looking forward to meeting ZUKO! And saying hello to both Mauricio and Salvador…Leopardo and I both LOVE Secrets Silversands and all the SWEET SECRETS that are there waiting to be revealed! Make sure and hit the explore button on the top of the banner at the top of the page..you can take a virtual tour and also see the map…you can scroll over the map and pictures will pop up… Don’t you just LOVE Technology! Leopardo and I sure do! Remember too to follow us on Facebook on their fanpage…as we will be posting LIVE FROM while we are there! WE would love to Share our SWEET SECRETS with all of you! So if you have any questions…please let us know we will do our best to get pics and videos for you! Another NOW moment this time Sapphire! September 14th brings us to another NOW moment this one is NOW SAPPHIRE! What a FUN place to hang out and enjoy all kinds of info from folks that are going, folks who have been and Olivia Rodríguez from the Resort comes on and shares info! Its just GREAT! Also on that page are a TON of great Photos that folks have shared who were there! LOVE THAT TOO! Gives us a chance to soak up all the Beautiful Moments of NOW so when its our turn we will have that wonderful feeling of knowing where things are! And speaking of knowing where you are…Leopardo and I just LOVE their website! So much fun to look around there too! While you are there make sure to check out their Virtual Tour! VERY COOL! Leopardo and I are very excited to be headed down and doing LIVE FROM reports while we are there! Be on the look out for us on Sept 14th … if you are around NOW Sapphire we would love to meet you, and if not we hope that you will follow our LIVE FROM posts on Facebook! Packing for trips is a multi day event that involves several suitcase and lots of LOVE! First there is the purchasing of the BERGER COOKIES! 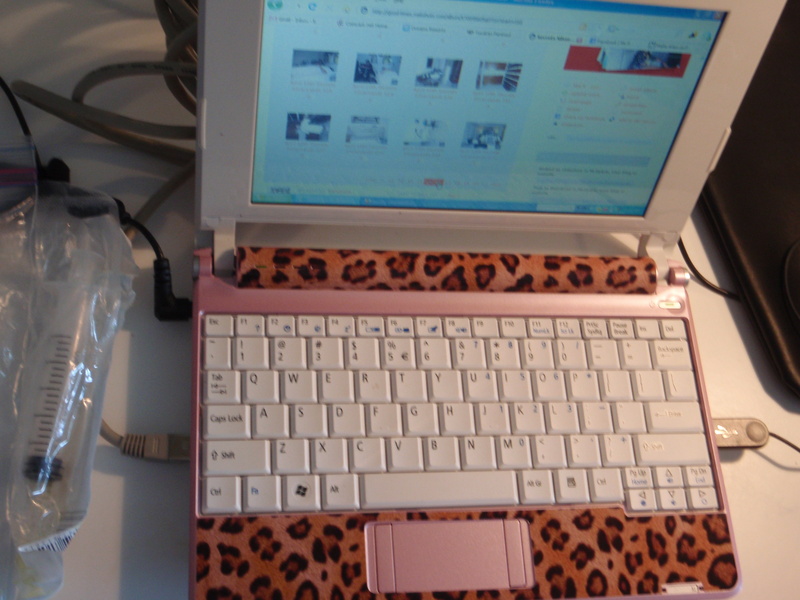 Its a tradition for Leopardo Laptop and I just love to take Berger Cookies to our “familia” whenever we travel! Then there is packing the Bergers into Zip Lock Bags…because they are going to have to be split between 3 checked bags and 1 carry on bag to make their trip! Its a PROCESS! LOL! Well I just finished that process they are all packed in their Zip Lock bags and tomorrow they will find their home in the Leopard Suitcase…Leopardos are happy suitcases knowing they are going to be fed! 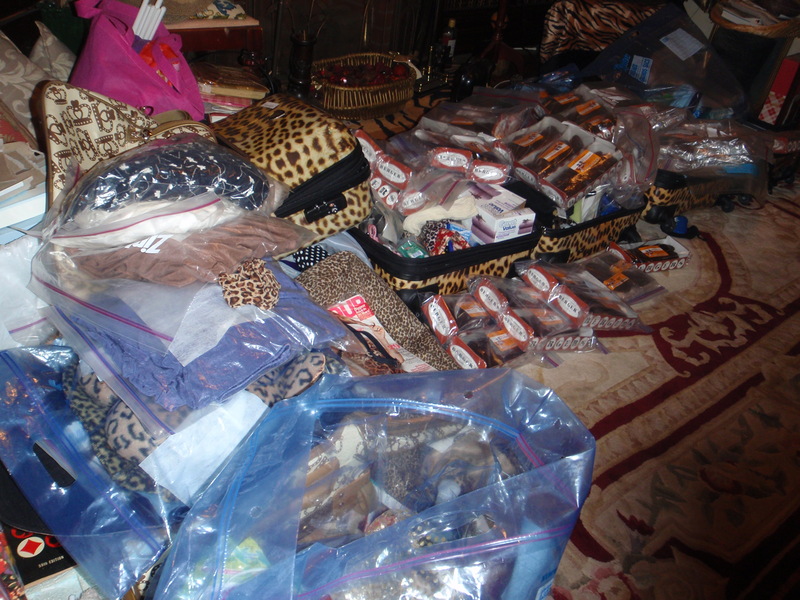 Leopard Luggage awaiting their final packing of BERGERS! The next largest packing process is the “Toiletry Bag”…LOL! Lotions, potions and everything in between! LOL, this doesn’t allow much room for clothes…But its all about the cookies, everything else manages to get squeezed in just under the 50 lb limit for each bag! Hey…a girls gotta do what a girls gotta do…to get where a girl wants to GO! Tic Tic Tic…Leopardo and I can’t wait til Saturday when we take off! This will be yet another NEW DREAM COME TRUE for Leopardo and myself as when we were in Mexico last April it had not been completed and we didn’t get to go. We were sad about that! 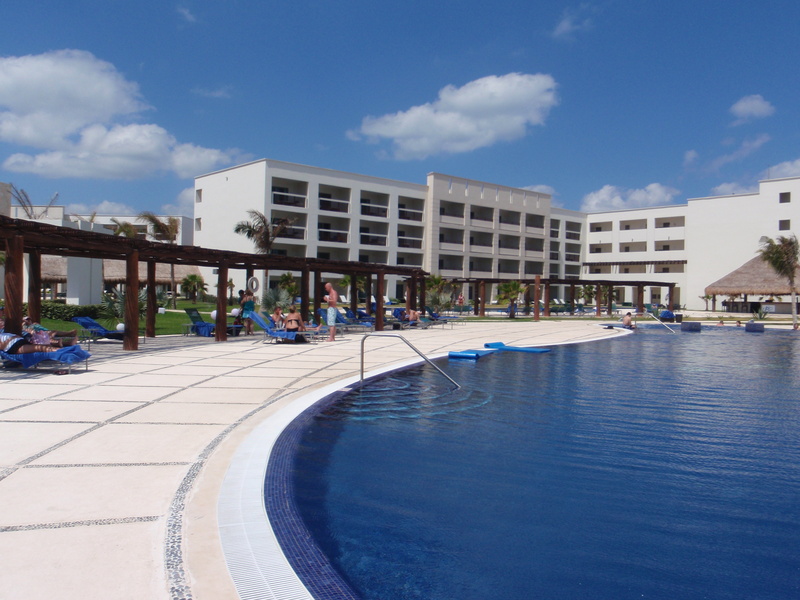 BUT now we will be making up for it and going to Dreams Riviera Cancun and having some SWEET DREAMS! We have been in touch with the DREAM TEAM there and can’t wait to see some Dear old friends and meet some NEW ONES! That’s right we already know some of the DREAM TEAM from their time at other of the AMResorts and we can’t wait to see them! This is one of the great pleasures that we have…having meet members of the various TEAMS and seeing them move to other of the “Family of Brands” Leopardo and I just love that! Click on it and see for yourself! Lots of fun chatter from guest who are going and guests who have been! Very exciting to read…and lots of guests are sharing photos too! Check them out here! The link above will take you there so you can see the pics! Leopardo and I can’t wait to get there and take our own pics and some videos to share! We will be posting LIVE FROM while we are there and hope that you will be following us as we have SWEET DREAMS at Dreams Riviera Cancun! If you have anything you want to see, let us know and we will try to get you the pics or vids so you can see for yourself! We just know that we will LOVE IT! If you haven’t already we suggest that you take a look over on their webpage…lots of GREAT Info to see there too! And they have a great interactive map for you to check out too! Just love that feature! You can scroll over the map and really get a feel for what a SWEET DREAM you will be having! So I hope that all of you will be with Leopardo and me while we are there one way or another…if you are going to be at Dreams Riviera Cancun we would love to meet you and if you can’t make it please join us while we post LIVE on Facebook and Twitter! Now is the time for NOW JADE!!! September 10th and 11th find both Leopardo and myself in our first Moment of NOW! We are over the top excited to be visiting NOW JADE! Since we have not been there its going to be a NEW MOMENT not only a NOW Moment! We have been spending a lot of time over on their Face Book Fan Pages checking out Pictures and Reviews and comment of the guests that have been posting…some while they are there doing “live from”….what fun it its! 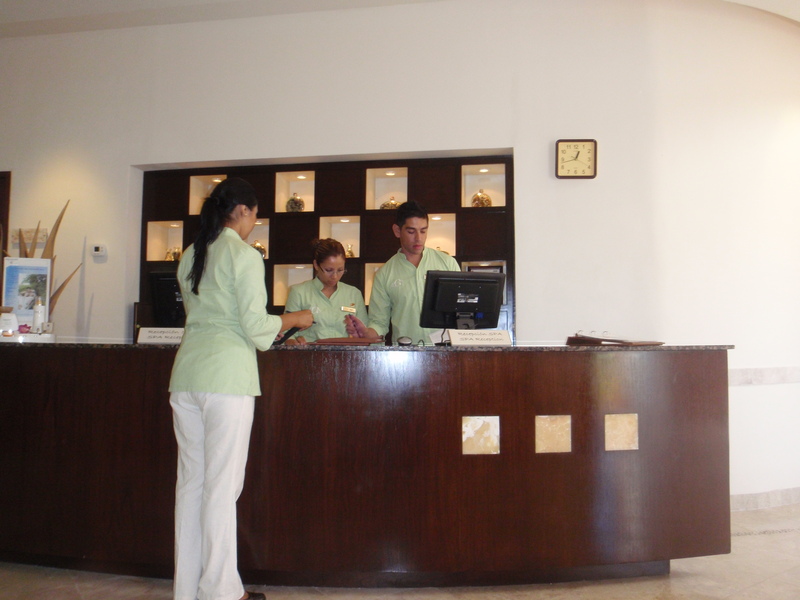 We love logging in each and every day and seeing the chatter about NOW JADE and whats going on at the resort. We love the way everyone comes on and shares….questions get answers here…from guests who have been and others who have been following the page! What really rocks our world is that Diana Manrique from the resort comes on and post. I hope to get to meet Diana while there to thank her personally for all that she and the team there are doing to make such special NOW Moments for so many! 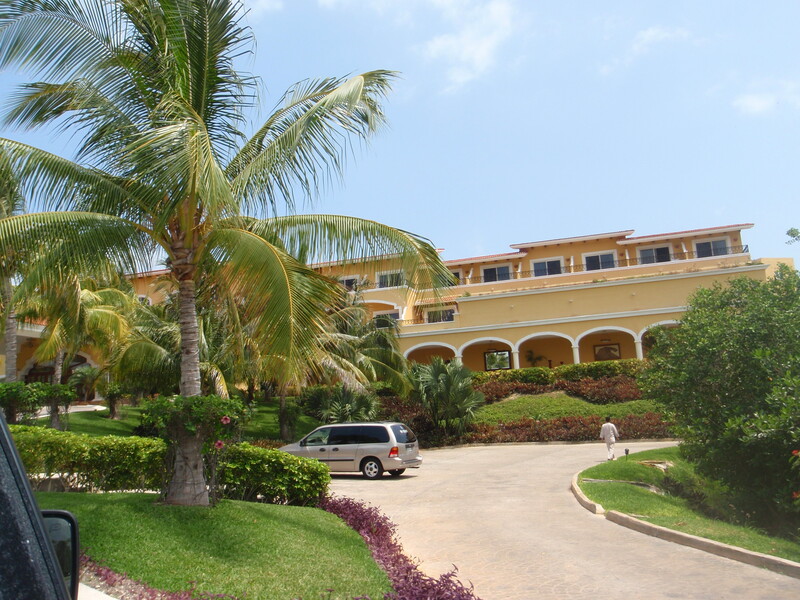 Here is where you can check out a TON of great pics of the resort! How great is Facebook and the Fanpages for folks to share and Kudos to all that have! My Dear Friend Carole went down in May and came back an shared her pics and comes on quite often along with others within the “Now Jade” community and shares her NOW Moments with all of us! Rene comes to mind too as a frequent poster who has not been yet but has gathered a lot of great info and is excited to go in October, Allison who was just there and did a blog with pics sharing her vacation! Leopardo and I really enjoyed that because that is what we do whenever we travel! I think that Diana and the NOW Team even though we have not met officially in person yet…are doing an AMazing Job! I want to give them Kudos and thanks for all the love and dedication for spreading the moment of NOW to not only the guests who visit the resort but to those of us on Facebook who are researching and building our anticipation to our very own Moments of NOW! Leopardo and I have been loving the interactive MAP over on their webpage! You can scroll over the map and pics of each of the white dots will tell you and some have pics of what things are and where they are located! LOVE that feature! Well our Days are ticking away…and before we know it Leopardo and I will truly be in our very OWN MOMENT OF NOW! We hope that you will come with us on our adventure and follow us on Facebook! We will be posting LIVE FROM sharing our Moment of NOW with all of you! 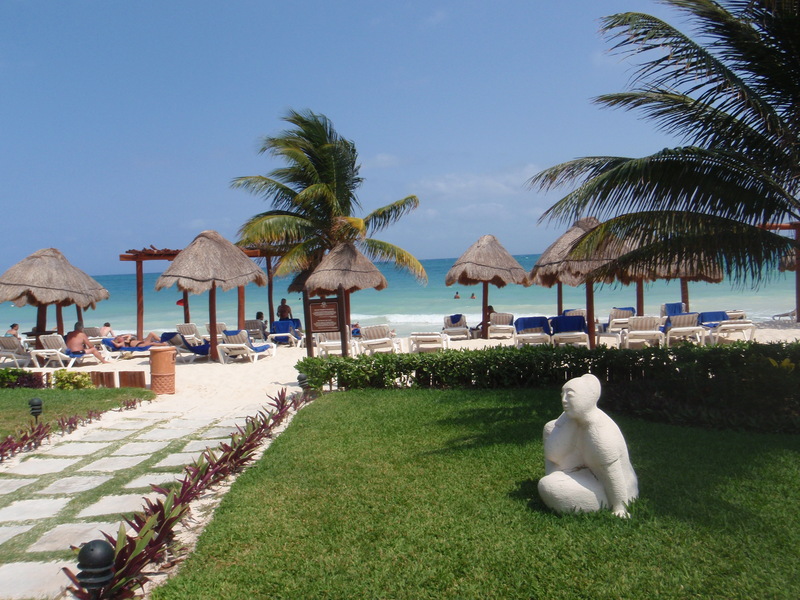 On September 9th is when Leopardo and I will be enjoying Secrets Maroma… We have some very fond Memories of Maroma…here! Last visit there was an AMAZING Full moon and I got a great pic and thought of the old song…Moon over Miami and now think…Moon over Maroma every time I look at it! 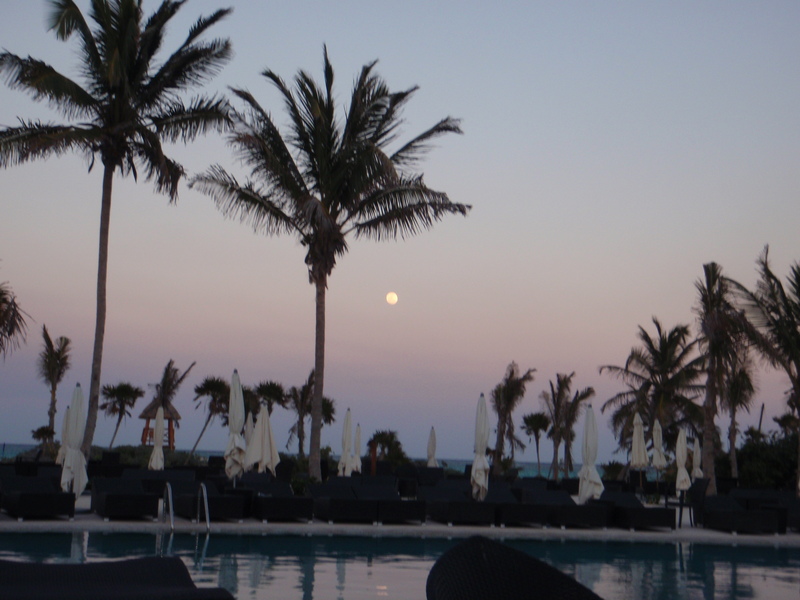 Moon Over Maroma...LOVE this Pic! 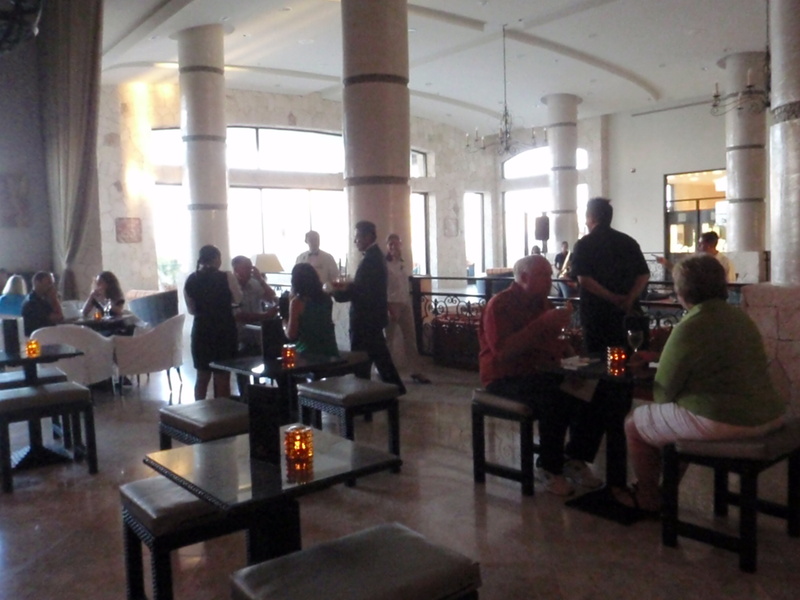 The lobby bar is a great meeting place! Always a buzz with folks meeting and greeting, and once a week they have a Managers Party where everyone gets to meet the managers of the Resort! 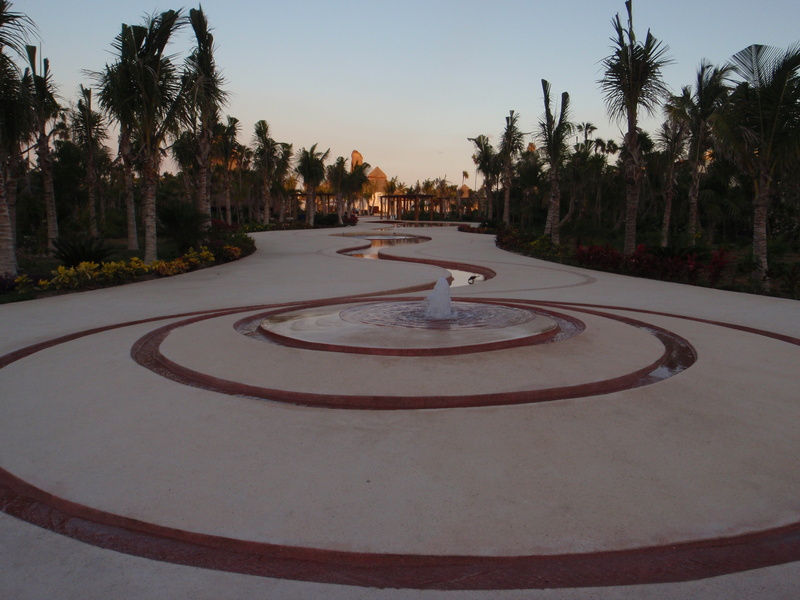 I LOVE the winding water feature that goes from the Lobby all the way down to the Pool! So Beautiful! 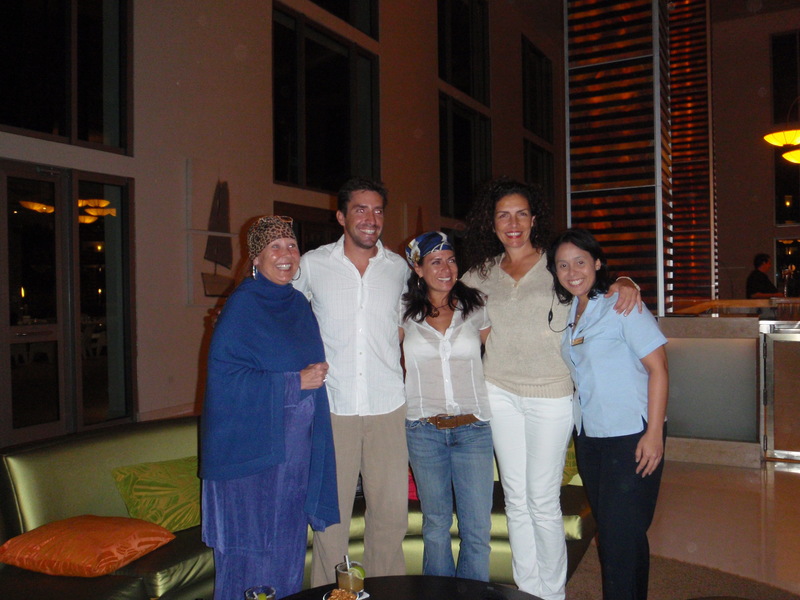 It was such a special moment…I still well up each time I play the video… Secrets Maroma is full of Special Maroma Moments… Its a Magical Place indeed! 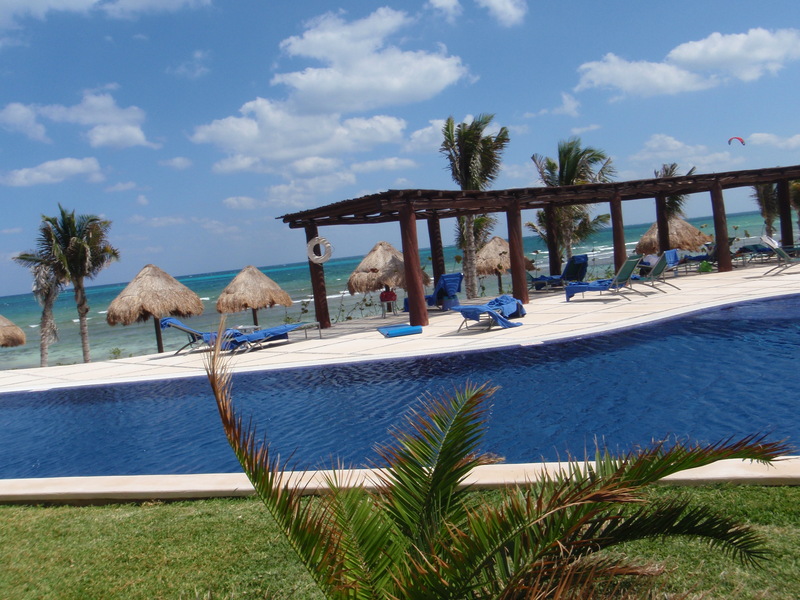 The Beach at Secrets Maroma always gets such great reviews…here you can see why…its absolutley GORGEOUS! Of course while I was there I visited their Spa and it too is MARVELOUS! I can’t wait to get back and relive all these MARVELOUS MAROMA MEMORIES and share them with all of you! We hope that you will share our time at Secrets Maroma with us…and please post with any questions you may have or pictures of things you would like us to get for you. Secrets are meant to be shared at Secrets Capri! On September 8th Leopardo Laptop and I will be arriving again to Secrets Capri! What a special Secret it is too! Love the Layout of Secrets Capri and the vibe that it has! Its like being in a lovely Mexican Hacienda… but with all the luxury touches and attentive service that the staff shows their guests! 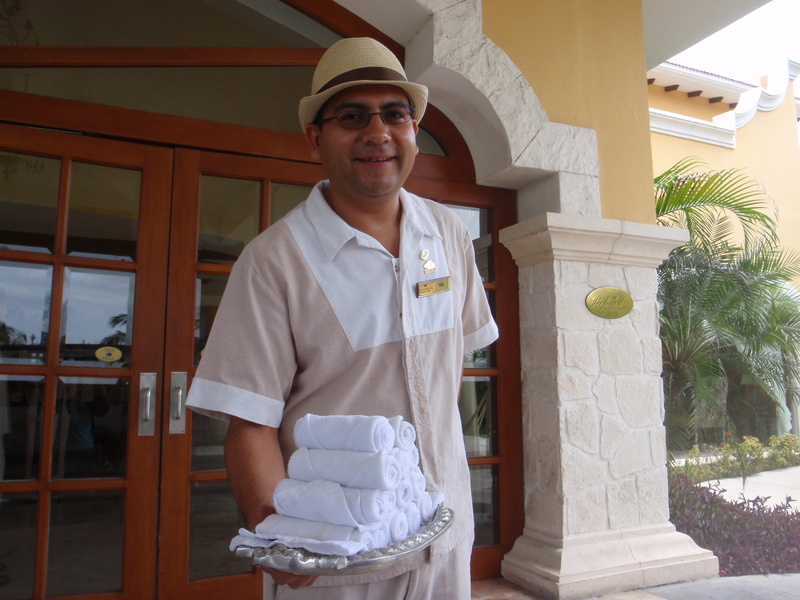 A warm welcome awaits as you arrive … you are offered a refreshing cool towel and a warm and sincere “Welcome Home” I love that! Check in is quick and easy and then you are taken to you room and you get to explore the SWEET SECRET that is Secrets Capri. The grounds are absolutely beautiful! Everywhere you look there is something that just makes you go AHHH!!! 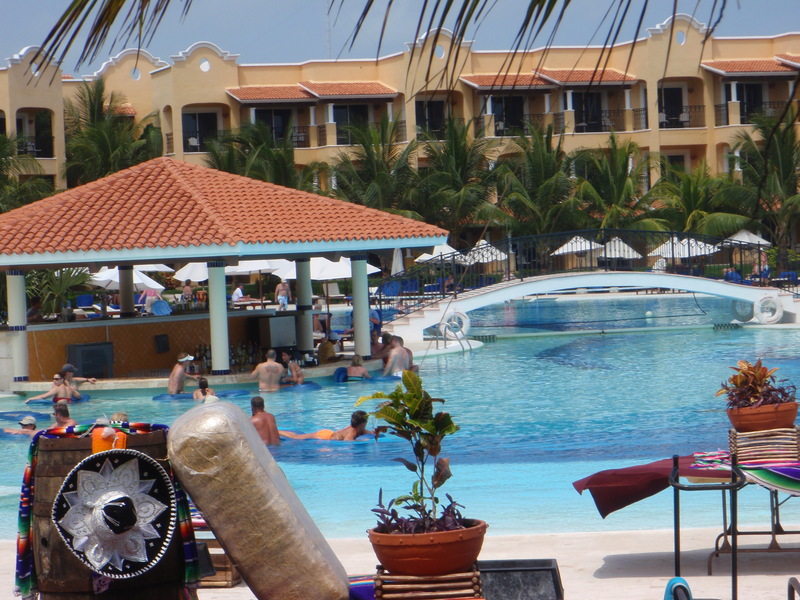 From my patio I could see the Beach, The Pool and the Gazebo…they were setting up for Mexican Night that afternoon and it was such fun to watch the preparation for the nights festivities that were just a few hours away! 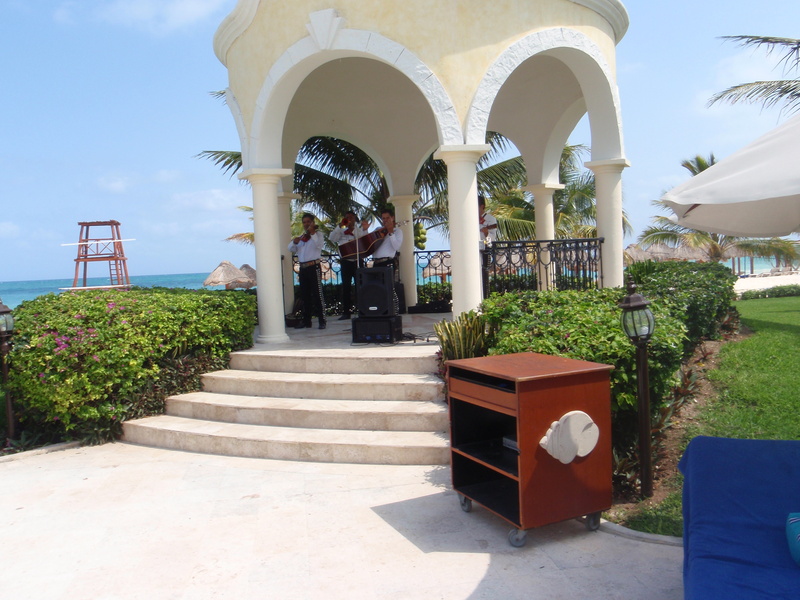 They were preparing Paella by the pool and I decided to go over and explore a bit and enjoy the music and the food….both were GREAT! 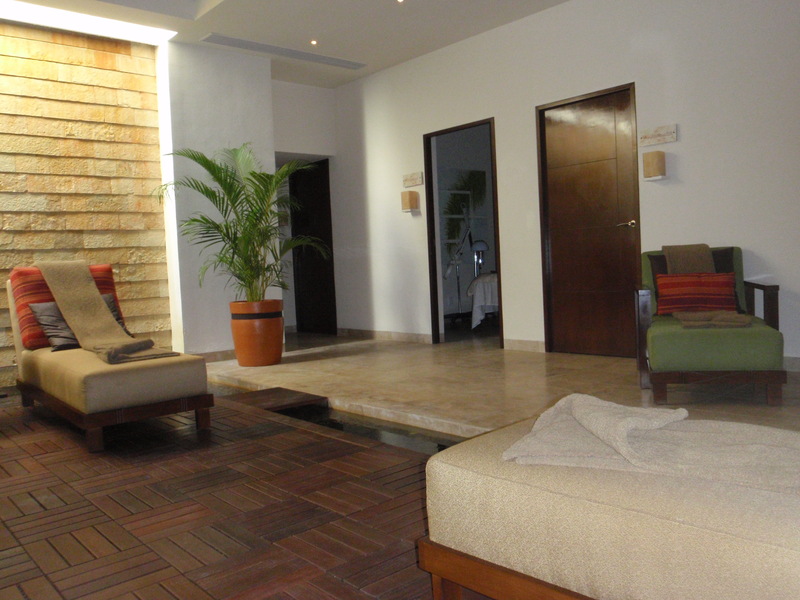 Of Course I visited the Spa at Secrets Capri and it too is beautiful, restful and Zenlike! 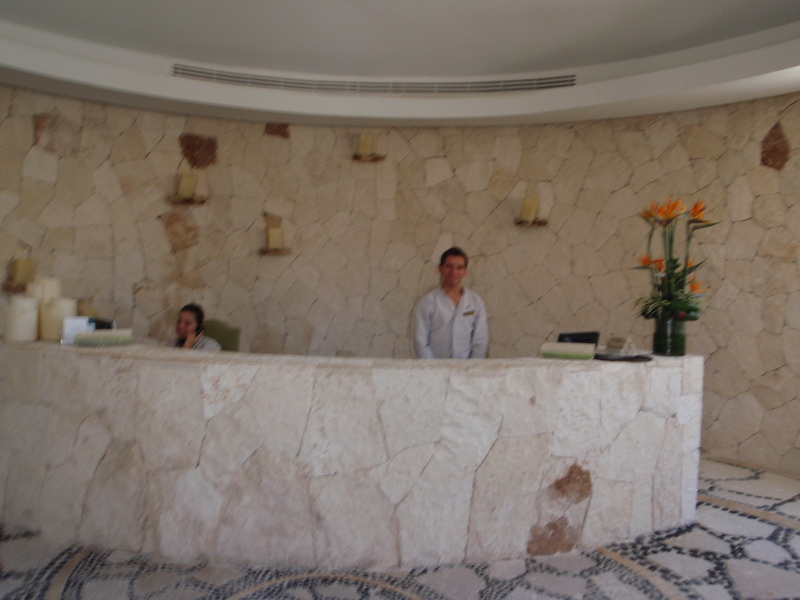 This is the Spa Entrance…Just walking in puts you in the SPA MODE! 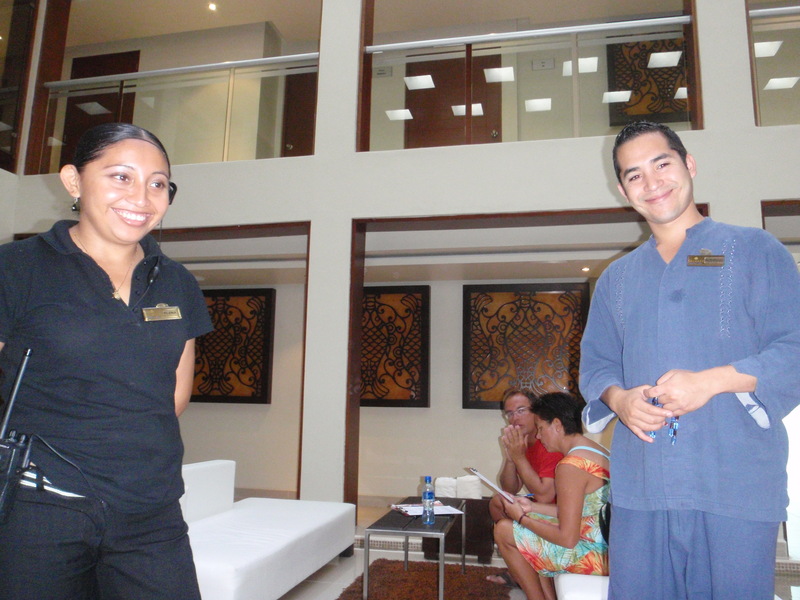 The Receptions staff is there to make sure you get the most out of your Spa time by signing you in and showing you around. 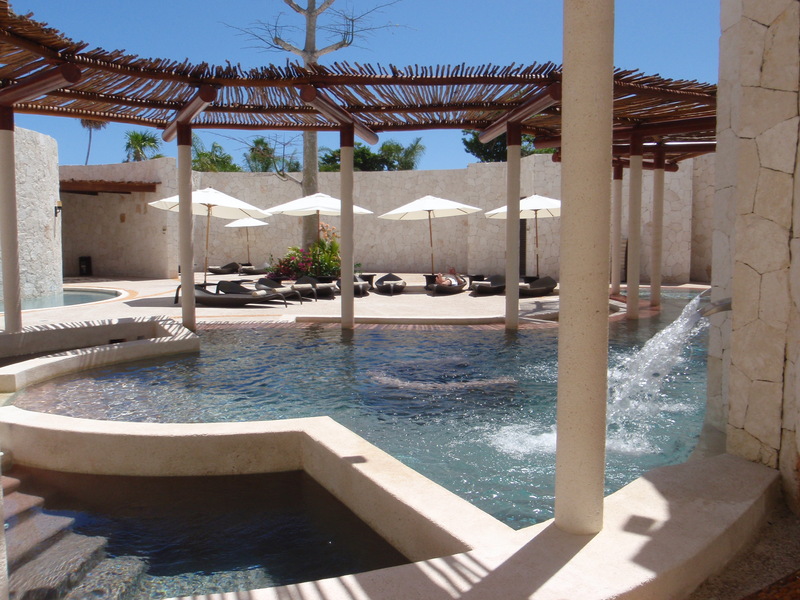 I love the way the Relaxation area is set up with beautiful ,restful water features! It really relaxes you either before, between or after whatever service you may have. It truly is SPA-sational! And remember to check their webpage for lots of great info like their map and more!